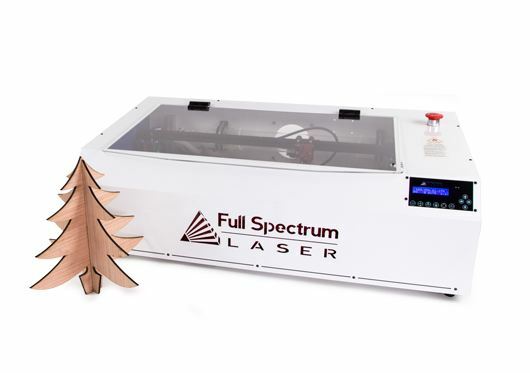 After some research I decided to order a Laser cutter from Full Spectrum Laser. This unit comes with an upgraded 45W CO2 Laser and can cut up to 1/4 inch wood or other materials. It comes with a simple water cooling system (read aquarium water pump) that uses distilled water to keep the CO2 laser tube cool.